Diyode has several cordless hand drills. 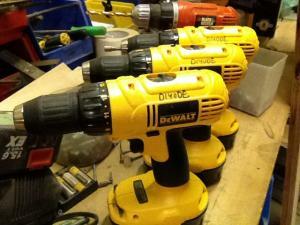 The three 18V DeWalts are to stay in the shop at all times. If you need to borrow one, borrow the Black and Decker.